Two Bunnahabhains done for the Japanese market. Granted the Japanese are known to have exquisite taste, it’s not surprising these mature Bunnahabhain are of excellent quality. A textured and fruity Bunnahabhain, with poached yellow fruit, a sweet-sour honey sauce and glazed pastry notes. Crystalized orange peel, hints of salt and hay trampled underfoot, and mixed with a white clay mud. Somewhat gentle on the nose but an oily and filling texture on the tongue, where the salt is also a lot more pronounced. Big boned but a softie. Happy to report no cheesey notes in this Bunnhabhain either. This one leans towards the sea. Big again but this time lots of brine and sea spray. Cleaned up metal tools – touch of WD40, oily leather creme and roasted nuts. Old resin and dried up bark with a distinct minty edge. Again a thick oily whisky that is less ‘clear’ but leans towards oily, resinous and woody herbaceous notes. Not sure if it is imagination but a touch of saltiness manifests itself on the tongue and lingers even as a zesty finish develops. 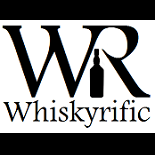 This entry was posted on November 13, 2018 by Whiskyrific in Bunnahabhain and tagged Bunnahabhain.